Cleaning service features: Comprehensive – Professional – Best price and constantly improved to bring customers more benefits. You are looking for professional cleaning services related to: General cleaning, House and Office cleaning, periodic cleaning, daily cleaners? 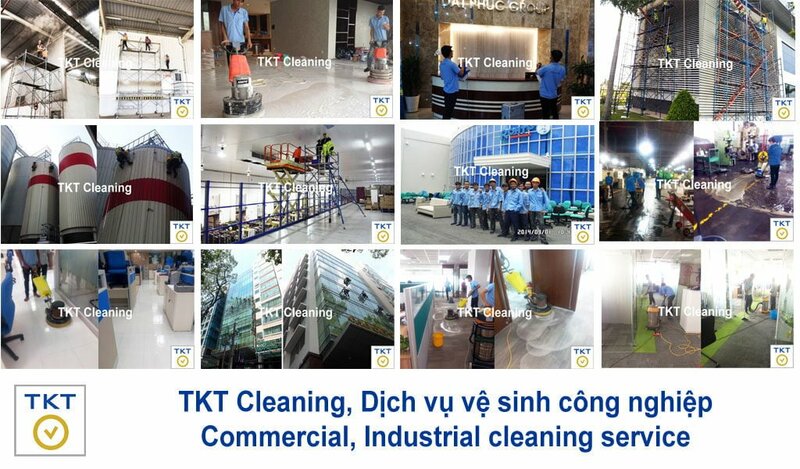 TKT Cleaning strongly would like to work and become a trusted partner of you. to receive a free quotes, advise, survey. Don’t hesitate. General Cleaning: General cleaning after construction work or cleaning work is of use, including cleaning from top to bottom, inside and out buildings (including cleaning glass, alu, aluminum, spokes aluminum, logo, exterior signage … works) or interior cleaning (carpet cleaning, furniture cleaning, mattress cleaning, curtain cleaning, floor polishing stone, floor looms …). The purpose of the comprehensive cleaning, bring freshness to the original works. Periodic cleaning (special cleaning): cleaning staff provided daily to daily hygiene items or entire projects. The purpose of maintaining the status clean, luxurious works. There are not many cleaning companies have the ability to provide good and sufficient service of both forms mentioned above. TKT is one of the few companies providing cleaning services both general and special cleaning. … also special benefits from TKT Cleaning customers. Daily housekeeping staff are well trained. Industrial cleaning equipment: cleaning machine, cleaning tools with unbeatable prices. Sanitation chemicals most effective, environmentally friendly. Not only in providing comprehensive services, competitive prices and professional service attitude, reputation, TKT Cleaning service constantly strive to improve and innovate, giving our customers excellent service more and better prices. If you live in Ho Chi Minh, are you looking for a house cleaning services in ho chi minh or maid service in Ho Chi Minh city. We are one of your right choice with very competitive price. 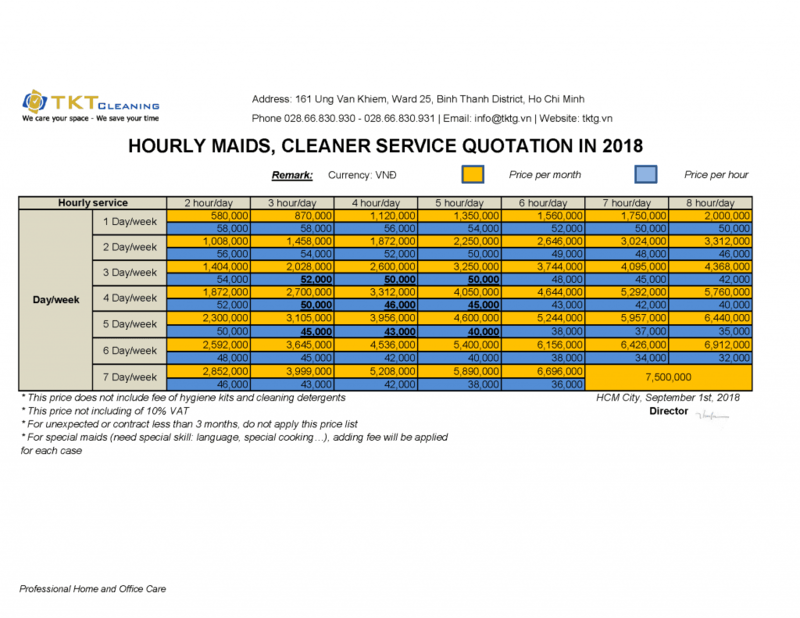 TKT Cleaning is a leading maid service in ho chi minh city to provide daily and hourly maid service. For detail please contact us.